Goldcrop’s business activity is very strongly centred around agriculture – over 90% of the company’s turnover is derived from the sale of agricultural inputs. Goldcrop has an excellent portfolio of grass and clover varieties and is constantly searching for new varieties and species that will benefit Irish farmers. 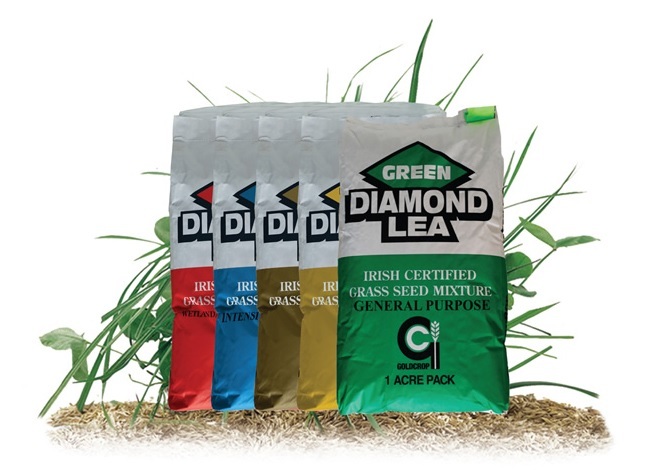 The company has forged strong links with some of the world’s leading seed companies which is all part of there goal to become the most focused seed supplier in Ireland. Goldcrop represents varieties in the Irish market for DLF Trifolium, Eurograss and Barenbrug.